Oh October. You were really long and too short and full of good as well as crazy and stressful. 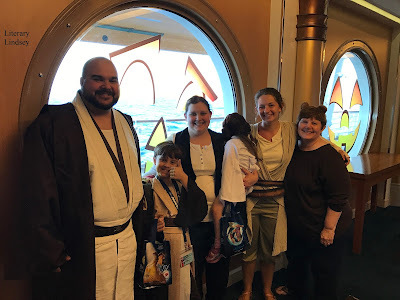 We went on a Disney cruise for a week and had all the fun of festivities of Halloween. It's also been a tough few weeks as my husband deals with some medical stuff and my 3 year old is at peak toddler. I could do with a few easy days during November! Han Solo loves Princess Leia. I only reviewed four books this month? Maybe I will get my book reviewing powers back for November. Two of those books were for review and two were from my library. Three of them were read as a part of Readers In Peril, a fun fall event where we read spooky books during September and October. My favorite of the bunch was probably The Fireman by Joe Hill. 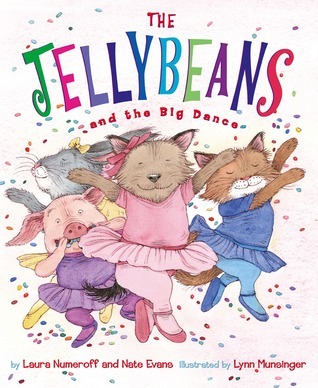 Favorite Kid Books This Month: BG is adoring a series of books about The Jellybeans, a group of four friends who like different things but go together like a handful of jellybeans! 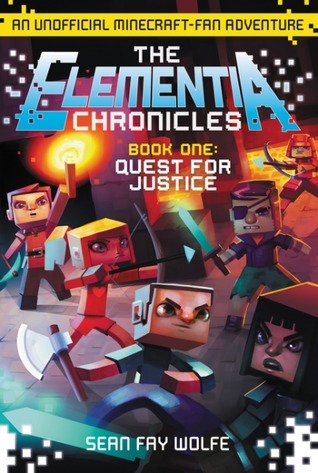 D is really into The Elemntia Chronicles, a Minecraft series, and The Treasure Hunters series, James Patterson's attempt to take over the kid's bookshelves too. 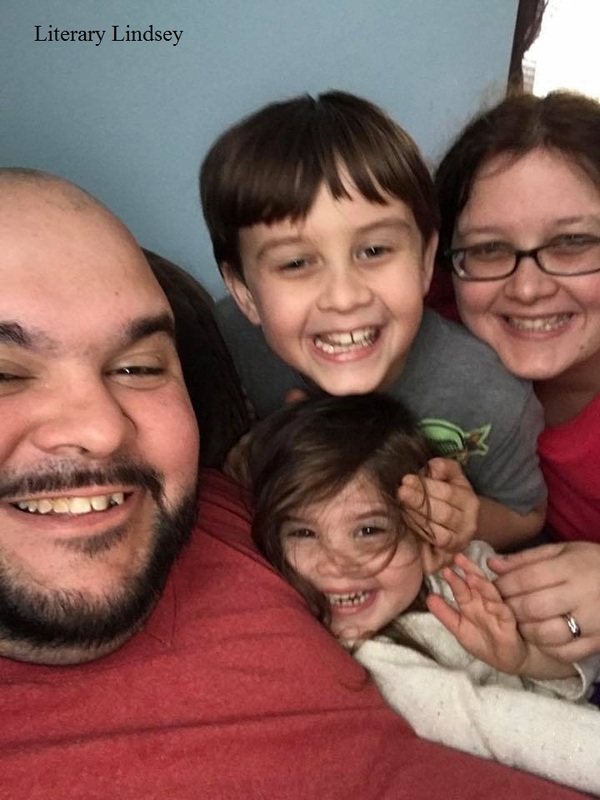 I wrote about our vacation experience on a Disney cruise and I also recorded my 24 Hour Readathon adventures this time around. It's nice to curl up on the couch after putting the kids to bed and watch a show or two with my husband. My current favorites are This Is Us and Jane the Virgin. Yes, I like to cry along with my laughing when it comes to tv. I have to confess we have been ordering takeout far more often than I would like. I hope we are going to do better in November! We did make our first Chicken and Dumplings of the season. They are the perfect way to start fall. 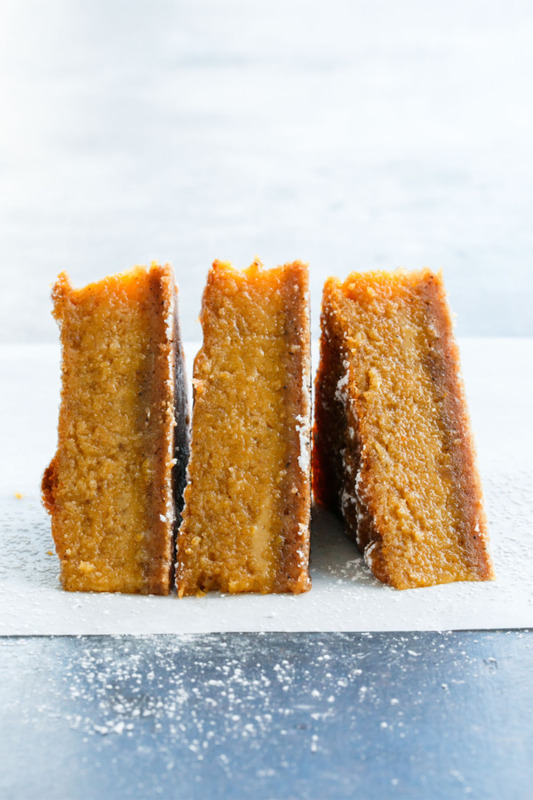 I also baked these pumpkin chess pie bars and it seems like everyone liked them. There were none left for me to take home at the end of coffee hour! What were you into during October? Fun post! I'm considering The Fireman, if it's not too creepy scary or "out-there". Your cruise posts and pics were really cool, and glad the kids had a great time. I watch This is Us too. I like the adult adopted son actor and also the grown sister. Never saw Jane the Virgin, so maybe I should catch that one if you like it too. Have a more relaxing week ahead. 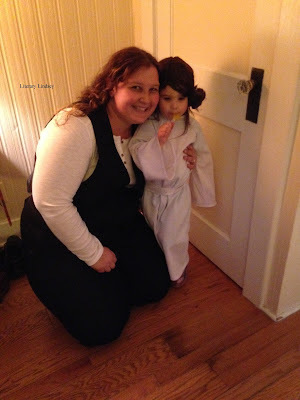 Princess Leia is adorable! And those pumpkin bars look absolutely delicious. Now I'm in the mood for pumpkin pie! :) Hope things calm down for you soon.